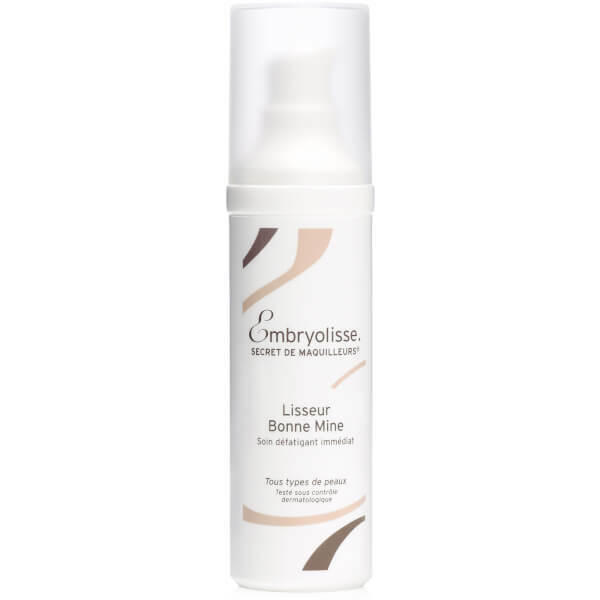 Refresh your complexion with the Smooth Radiant Complexion Immediate Anti-Fatigue Treatment from French pharmacy skincare label, Embryolisse; a refreshing and soothing emulsion gel that visibly reduces the appearance of fatigue with deeply moisturising and plumping Hyaluronic Acid and smoothing Natural Polysaccharaides. 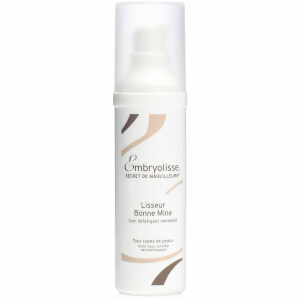 Delivering an instant tightening and lifting effect, the treatment effectively blurs the appearance of fine lines, wrinkles and other signs of tired skin. Pearly and soft-focus pigments provide an even and luminous glow whilst Alfalfa and Lupin plant extracts help stimulate skin’s surface, promoting elasticity and targeting the look of puffiness and dark circles. Vitamin E helps prevent oxidative stress and reduces the effects of premature ageing for a youthful-looking complexion. Suitable for all skin types (30+). Apply daily under make-up, on the face and the eye contour. Aqua (Water), Glycerin, Octyldodecanol, Aluminum Starch Octenylsuccinate, Pentylene Glycol, Ammonium Acryloyldimethyltaurate/Vp Copolymer .Phenoxyethanol, Synthetic Fluorphlogopite, Tocopherol, Caprylyl Glycol, Ci77891(Titanium Dioxide), Avena Sativa (Oat) Kernel Extract, Glyceryl Polyacrylate, Parfum(Fragrance), Xanthan Gum, Hydrolyzed Lupine Protein, Medicago Sativa (Alfalfa)Extract, Sodium Hyaluronate, Sodium Hydroxide, Biosaccharide Gum-1, Sodium Benzoate, Ethylhexylglycerin.